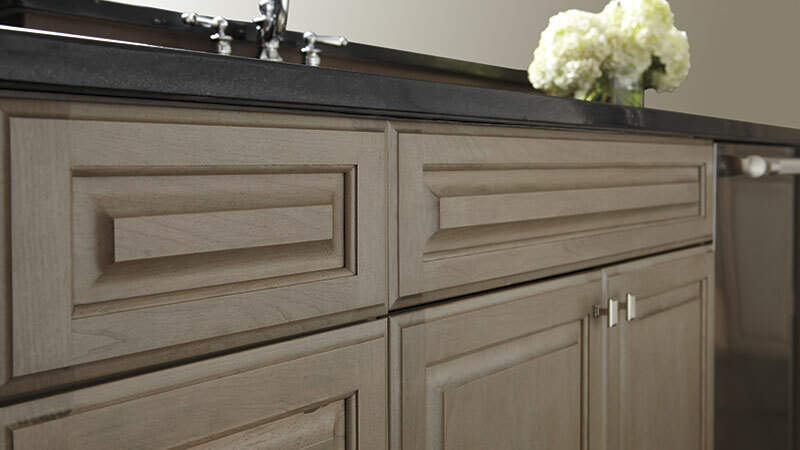 With so many options to choose from, Omega breaks it down to help you determine what the right cabinet material is for you. Select from beautiful hardwoods or the interesting textures and colors of our specialty cabinet materials to capture the look you'll love living with. You'll find nature's fingerprint on every piece of wood we mill at Omega. Enjoy selecting from seven cabinet wood types, with dozens of beautiful finish choices designed to create an ambiance you'll love for your home. Always withstanding the test of time, hardwoods grow more lovely as they age with a mellow patina, making them a perfect choice for any home. Specialty cabinet materials run the gamut from exotic looking veneers, ultra-modern gloss finishes and the tactile touch of texture. If you are looking for something with a more modern vibe, you're sure to want to explore Omega's offering of specialty materials for your next project.